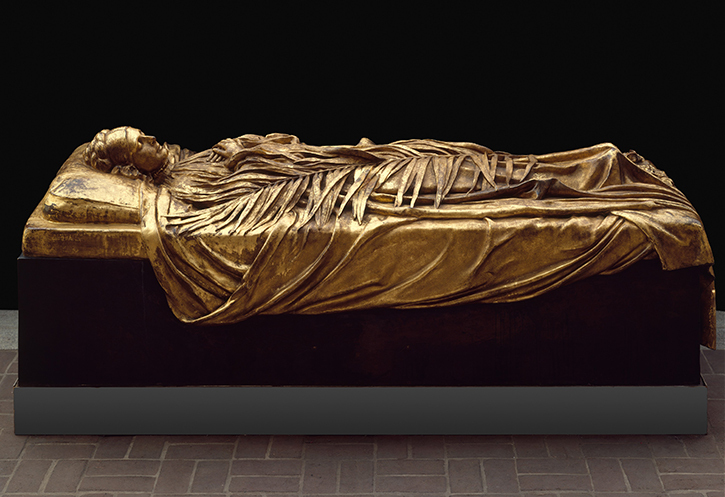 In 2014, The Met engaged Earprint to design and create a unique multimedia tour of 20 sculptures from their collection. The theme of the tour was Body Language, and it was developed to further the goals of a new Met-wide initiative called “Viewpoints.” Viewpoints was intended to expose visitors to The Met to content from a variety of perspectives, and Body Language was a part of this initiative that used expert perspectives from a variety of fields to explore body movement in The Met's featured sculptures. Body Language was intended to break out of the mold of the traditional audio tour, using the online and app formats that allow visitors to engage in a new way with these sculptures. The Met approached Earprint because of our reputation for success with cutting-edge interactive experiences for visitors, and Earprint designed a tour to inspire visitors to make a physical, experiential connection between the sculpture in front of them and their own bodies. 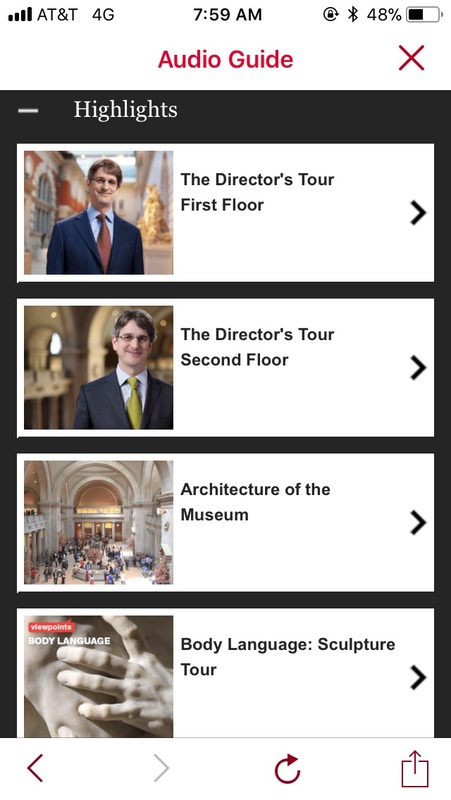 The tour, still available on the museum's website and app, includes voices from curators at The Met as well as outside experts from diverse fields – neuroscience, dance, and music – and includes commentary in American Sign Language by a deaf museum educator. These unique and interesting segments bring in voices from experts outside the museum to initiate a dialogue for visitors, allowing them to engage even deeper with these works of art. Although originally intended only for The Met's European Sculpture and Decorative Arts Department, other Met departments became excited about the potential of this new interactive technology and were eventually included in the tour. It now includes works of art from European Sculpture and Decorative Arts, American Art, and Medieval Art. Earprint collaborated with these various departments within The Met to collect interviews with experts from a variety of fields, and recorded all audio and video interviews on-site. We also supervised location video shoots, and then edited and produced all videos, slideshows, and audio content. That content was put on The Met’s website, as well as their downloadable app, allowing any museum visitor to access the tour. By blending audio and visual sources, Earprint was able to create a truly immersive and multidimensional experience. The Body Language tour joins sculptures with interviews and music, and allows The Met to involve visitors in the creation and interpretation of an immersive story, deepening individual relationships to the art itself. This form of storytelling was new for The Met, and we are honored to have been part of creating Body Language.